Barcelona recovered from a 2-0 first leg defeat. Jordi Roura (perhaps with help from Tito Vilanova) used David Villa upfront, with Cesc Fabregas on the bench, and played Javier Mascherano rather than Carles Puyol. Max Allegri kept things close to the first leg XI – Mathieu Flamini replaced Sulley Muntari, with Riccardo Montolivo moving to the left of the midfield trio. Upfront, with Giampaolo Pazzini injured, M’Baye Niang played upfront. Barcelona were excellent in the first half here – and although the home side’s strategy was slightly confused after the third goal which had tipped the balance of the tie, Milan didn’t have an answer for their unusual system. Barcelona needed to change their overall strategy from the first leg, when they were at their predictable worst: nambitious play in the centre of the pitch and little penetration through Milan’s midfield or defence. As much as any side that has defeated Barcelona in this era, Milan really seemed to have found an answer to Barca’s short passing, so it was imperative they didn’t play the same way again. The solution was, in Barcelona terms, quite dramatic. Pre-match rumours had suggested that Barca would switch to a 3-4-3 diamond for this game – a formation they used last season against Milan, with mixed results – and it wasn’t too far away from the truth. Roura’s side played a compromise, hybrid system that was roughly a cross between a three- and a four-man defence, and this worked nicely. Strangely, the reason for the unusual defensive format was actually about what was happening upfront. In the past couple of seasons Barca have generally played Lionel Messi as the primary central forward, but here they used David Villa as a central striker – with Messi behind in the number ten role. This was important in getting Messi into the game – he found more space and received the ball more frequently. The problem in the first leg was that Messi was tightly marked by Philippe Mexes, who was happy to come high up the pitch to shut him down, with Cristian Zapata covering. With little running beyond Messi, Milan rarely looked troubled. This format was very different. Interestingly – as mentioned after Barca’s Copa Del Rey defeat against Real Madrid – in the match against Sevilla (immediately after Barcelona’s defeat in Milan) Messi commented on the positive impact of Villa playing upfront. “With Villa up front in the second half, Sevilla’s centre backs couldn’t move forward, which gave me more space,” he said. Nothing mind-blowing, but it’s quite rare for Messi to comment upon his side’s tactics. Here, exactly the same thing happened. Messi was in roughly the same zone as in the first leg, but Villa was in the side too. Crucially, he didn’t play as a normal centre-forward, trying to find space between the centre-backs – he played very much right-of-centre, up against Mexes. He was essentially being used as a blocker, someone to force back Mexes and give space to Messi. It’s particularly obvious for Messi’s first goal – yes, Stephan El Shaarawy could have got tighter, yes it’s a tiny pocket of space, and yes, it’s a brilliant finish – but in the first leg Mexes would have been straight into Messi’s face. Here, he’s distracted by Villa, and Messi found the space to finish. Barcelona's average position in the six 15-minute sections of the game. Note how Alves (2) starts off significantly in advance of Alba (18), who tucks inside to a more central position. Villa (7) is also right-of-centre, blocking Mexes. Their positioning caused the lopsided shape of the rest of the side. Pedro Rodriguez played on the left rather than the right, but Barca still needed width on the opposite side, to stretch it down both flanks – rather than just one. This meant Daniel Alves was pushed extremely high, more as a right-winger getting back than a right-back pushing forward. The approach was highly reminiscent of a strategy Pep Guardiola used two seasons ago in a 5-0 win over Sevilla: note Alves’ runs, Villa’s movement, Gerard Pique moving across and Eric Abidal in a more cautious role at left-back. Abidal would have been ideal here, but instead Barcelona used Jordi Alba as something of a left-sided centre-back. He barely got forward to push Kevin-Prince Boateng back – instead he stayed in position and proved very useful as a defender – 2 v 2 would have been too risky against Milan’s quick attackers. So Barca had width on both sides, Villa pushing back the defence, and Messi roaming between the lines. It’s important to remember, of course, that Milan were inevitably looking to replicate their first leg strategy. A key part of that approach was their willingness to push their midfield up, leaving space between the lines. Against Messi as a false nine it worked, but against Villa and Messi, it was disastrous. Massimo Ambrosini, far from having the freedom to move forward and press, needed to be watching Messi. Another key feature of Barca’s game was their intense pressing, which has been lacking in recent weeks. By its very nature, pressing is about the whole side doing it together, but Sergio Busquets was key. Even by his standards, he was quite sensational, particularly with his positioning and reading of the game. He didn’t have a direct opponent in this match, so played a covering, sweeping role behind the other midfielders. When they lost the ball, he was on the scene remarkably quickly. When Niang dropped back onto him, Busquets anticipated the ball quicker and got his foot in. When he got possession, Busquets was positive with his distribution – sliding the ball into Messi for the first goal. Milan struggled to get out of their half in the first 25 minutes, primarily because Busquets was winning the ball so quickly. Milan’s routes to goal were obvious, with Barca risking three-versus-three at the back. First, there was El Shaarawy breaking in behind Alves. Their battle had been key in the first leg, but here Alves was higher and more in direct combat with Kevin Constant – El Shaarawy had more freedom and could drag Pique out wide, and take him on in one-versus-one situations. He also popped up unmarked for Milan’s first serious chance of the game after a direct attack. In the central role, Niang is not Pazzini – his hold-up play was poor, and it was frustrating that he dropped into deep positions, trying to receive the ball into feet. He should have been playing on the shoulder, and at 1-0 he hit the post from a huge, accurate ball over the top of the defence from Montolivo. That was Milan’s best chance of the night, and demonstrated what Niang should have been doing – later, he switched with Boateng, who became a false nine and could hold the ball up more effectively. Interestingly, that chance also arrived because Mascherano misjudged a high ball and allowed Niang behind him. Mascherano was trying to do something similar to Busquets, moving into challenges bravely and winning the ball immediately. It was risky, and was an example of how a side’s strength can also be their weakness – Mascherano’s tenacity was crucial in Barcelona’s third goal, but it also allowed Milan their best chance of the night. The overall pattern stayed fairly constant until Barcelona took the lead in the tie, when the game changed considerably. Allegri made two changes – Muntari on for Ambrosini, with Montolivo into the holding role, and Robinho on for Niang. Later, he introduced Bojan Krkic, playing the ‘number ten’ role Allegri has often used him in – with Flamini sacrificed. Milan rallied – they pushed their full-backs forward, particularly Ignazio Abate down the right, and suddenly started to play in the Barcelona half. This was another example of simple footballing momentum. Barca didn’t change anything in particular – they were a little more cautious, naturally, having taken the lead, and their pressing dropped as the game went on – but there’s no explicit reason why Milan couldn’t have been similarly adventurous in the first half. Barca were unsure of the best strategy – keep-ball or attack? After Bojan’s introduction Milan were only playing Montolivo, Muntari (and Bojan, if you like) in that midfield zone. Barcelona could have easily kept the ball and slowed the tempo, but surprisingly found it difficult to change from their initial attack-minded gameplan. Roura’s key change was the introduction of Adriano for Pedro – this meant Adriano could play deeper and track Abate’s forward runs more closely. In the end, Alba sealed the game with a terrific goal that was completely out of keeping with his overall performance, considering he’d been told to focus on defence. For all the consistency evident in Barcelona’s approach in recent years, they have continually tried to evolve their side. 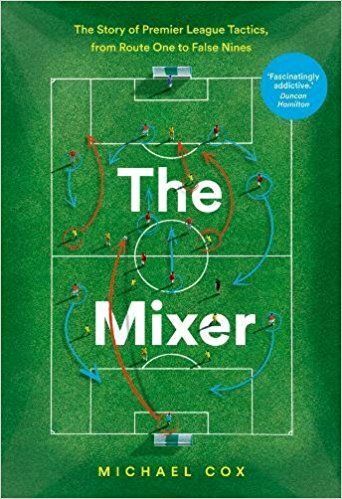 That, arguably, was Guardiola’s downfall last season – trying to evolve too much – but maybe he saw how the 4-3-3 (with a false nine) was becoming too predictable. After the first leg, Barca had to try something different. To many the solution was simple – Villa in for Fabregas, and a return to Barca’s ‘classic’ formation. In a sense that happened, in a sense it didn’t: Villa has rarely been the central striker in his Barcelona career, and his deployment there allowed Messi space. Alves’ positioning was vital to stretch the play on both sides (something Barca failed to do at the San Siro) and the semi-back-three was a consequence of that. It relied on great Messi finishes and a couple of good last-ditch challenges, but overall it worked – and for the first time since Roura took charge, Barcelona’s tactics were excellent. Still, Vilanova’s imminent return can only be a good thing. You also forgot to mention that this was the first time in European history a team overturns a two-goal deficit with no away goal. Nah, just modern Champions League history, which is barely 20 years old. It’s been done elsewhere in Europe loads of times. To be honest, I didn’t think it was relevant or interesting. Deportivo recovered from a 4-1 defeat to qualify – so an even trickier deficit to overcome. Did they have the away goal rule back then?? Not really, because of the no away goal 2-0 is as difficult as 4-1 to overcome: at 3-0 you risk losing if the other team scores just once and at 4-0 they need 2 goals to go through. It’s basically the same scenario. Yes it’s more difficult because if it’s 2-0 you can also tie the game by scoring 2 and advance on penalties, with 4-1 down you always need to score 3. That was against Milan too, I believe. A very frustrating team to support. Milan quite often was on the receiving end of some epic comebacks. The game against Arsenal 2 years ago, Milan won 4-0 at home, and completely broke down at Emirates and lost 3-0. An almost comeback. I think Milan should have tried to play a higher defensive line and let villa alone? well I don’t think Milan would have known much about whether Barca would make such a change in the way they play. Plus they had a busy weekend before the match and had their minds (also Pazzini Injury) busy beforehand. Therefore the logical thing to do was to stick with what worked. They also had the 2-0 advantage which they could try to protect anyway. Playing on the counter almost worked for them if not for Miang’s early miss. I expected Milan to loose badly if they don’t try to attack for the first 15-20 minutes and get the goal that would make them defend for four goals. Barcelona surely would attack and change something, and with there defending vulnerability Milan should tried to attack bravely to get that one goal. Anyway, you cannot expect that from from an Italian manager. Thats where tactical coaches like Mourhino matter! Exactly. Getting your tactics initially wrong is no great sin but there was no reaction. Mourinho would’ve been making subs after 20 minutes. don’t think that would’ve worked. Play higher defense mean more space in the back which Villa and Messi, can easily exploit. Letting Villa alone isn’t a smart choice either, he may not play frequently but he is very effective on goals. Well, if you see a Barcelona game against a good team which has a good tactical coach like Real Madrid, you will often see them caught in the offside trap. That’s the best way to deal with it. Once they play a high defensive line, there is no longer space for messi and the midfield would be cramped too. But there will be plenty of space behind the defense. Meaning, players like Xavi and Iniesta and Cesc and Busquets can do passes over the defense into space and let Messi run for it. RM always plays deeper. They pressure at Barca half but when Barca esscapes from that first line, then they retreat and stay tight in front of their goal. The other key difference was Ambrosini returning to his usual self and the lack of Munatri magic. You don’t have to go all the way back to two seasons ago for that formation on Barcelona’s side. The same thing came up a little more than two weeks ago. Maybe it’s mere coincidence, but Sevilla was their victim again that night. After struggling to get anything going in the first half, Roura (or Vilanova) sent out this exact assymetric formation for the second period with the pressing and the directness. Of course you’d have to understand Hungarian to read it entirely, but in the meantime, the screenshots will do. I guess it is what Michael described exactly. Since we’re plugging other sites, have a look at my write-up after the Sevilla game, in which I speculate it was a dress rehearsal for this game. Messi got the ball more but to be honest, Messi had virtually no space at all on either of his two goals and neither came from his runs. Still there were a little bit of space, specially for the second goal, which wouldn’t have been there if not for the tactical inclusion of Villa. Also it seemed to me that it was not much in the plan to make enough space for messi to run, after all the way opponents pay attention to him make it almost impossible to create so much space there. Instead it was pedro who was probably in the plan to make the runs. In all honesty, Constant had a difficult job ahead of him. Alves was stretching the defense and Constant had to keep tight to him, or else Alves’ crossing ability could have hurt Milan, the downside of moving wide was that Constant was always on a limbo, trying to keep tight and offer the CB’s some support, but always having the threat of Dani Alves. I think Constant manned up fairly well on Alves, but was too isolated to have a confortable game, and the ammount of crosses Alves actually managed, and the space he left for Messi and Vila to explore, were a sign Constant wasn’t actually excellling at either task. There was me thinking Barca had come to the end of their cycle! Guess the strategy was to get a proven goalscorer up front which is why Villa palyed through the middle and Messi moved to the right. Given the need for goals, it was a sensible decision although why this alone necessitated a swith to 3-4-3 baffles me a little. I guess the fact the Milan play with a narrow midfield infuenced the decision because 3-4-3 gave Barca 4 v 4 in the middle! They also needed Alves bombing on to get width on the right because you don’t want Messi playing as a conventional right winger. You really should have read the article. Villa wasn’t put up front to provide a goal threat as much as he was to push the central defenders back and create space for Messi and the midfield. But they would not have dropped off he did not represent a threat! I think that Messi is just about the most proven goal scorer you can have. And really you could say the lopsided 3-4-3 made it 4v3 (advantage Barca) in the middle with Xavi, Iniesta, and Busquets, with Messi receiving the ball just behind Milan’s midfield. Take advantage of the channels, verticality, penetration + Villa in a Llorente-like pivot role. That’s what Barca did tonight. Amazing performance, like good ol’ times! Vilanova and also Pep most likely had a hand in tonight’s tactic. Even though the result was great for Barcelona. You have a feeling that Dortmund (Reus on the left, Bender and Gundugan Deep) BAyern (Ribery left, Martinez and Schwensteiger deep), Juventus (Pirlo Deep and Asamoah Wide Left), and Real Madrid (Ronaldo left and Alonso deep) could cause Barcelona real problems and regularly out pass Barcelona’s press…their defending after their press is broken is awful. Considering how effectively United shut down Alonso with pressing, I’d say if Barcelona can keep up the level of pressing they showed today then they’ll give a good game to Madrid. We’ll see. My feeling is that if Barca can summon the intensity they showed us today, they will be able to win it all. The team got back quickly on defense, and were winning 1-on-1 battles that they were losing in their recent string of defeats. Playing like that, they can absolutely defeat this season’s Real Madrid, and any German side. With their huge advantage in the league and enormous depth (the Barca bench could challenge for the CL Title) they will have plenty of chances to rest players and peak for the finals. Intensity should not be a problem. Right, also they weren’t nearly as reckless with their fullbacks. Thank you for this great analyzing .. I think the main factor in Barca fine performance was in benching Cesc, he is a disaster for Barca midfield, he can’t press high, he is very slow, his position is very static and the most important is that Barca lose Iniesta in their midfield ..
Iniesta is very important, his pressing and movement are sensational for Barca success, he was among the top five players in intersections and he provided grate assist to Messi ..
keeping Cesc out will help Barca, playing Villa will release Messi ..
but they still have a couple of problems with their back four and with their wild strikers they don’t score !! these could be very costing in the next round ..
Front line doesn’t work for multiple reasons, the main being lack of vertical penetration and Iniesta and Fabregas getting in each others way. However, for a different tie he’d be a useful choice because he and messi have been used as two false nines in the past to great effect. However, since this tie needed a number nine, he really wasn’t the right player for the tie. 99% certain that tito had a hand in this. This was the most “direct” Barca I’ve seen in a while, which seems to be Tito’s style. The amount of long balls Valdés made for instance (coupled with the intense high pressure) seemed to be a tactic with the thought of increasing the percentage chance of Barcelona getting a shot on the Milan goal. Furthermore, I thought it interesting that on the one side Alves was permanently wide and his job was to stretch the Milan defense and get crosses in to create chances (although no real chances came from a cross, it gave Milan something else to think about and varied Barcelona’s attack pattern) whereas on the other sode Pedro started wide and made vertical runs inside behind the defence. For me the use of Villa was key. So often Barcelona’s strength has been the lack of a CF to refuse to give teams a reference point, however in this case using a CF on the last man and giving Milan a reference point worked to Barcelona’s advantage giving Messi more space as ZM said. For me (apart from Messi) Iniesta was man of the match. Choice of passing, taking players on, his pressing and tackles, were all superb. Indeed, i agree that it was very Vilaonova-ish way of playing. Xaviesta played their best match in a long time tonight. The quick one-twos Xavi played with Messi in the first goal had been a rather scarce feature in Barcelona’s attack of late. The two of them sliced five Milan players with that sequence (six including Abbiati). It was a mind-blowing attack between two legendary players. Xavi returns 100% and Barca plays football again. ZM, Can you bring back the glow-y lines please? I really, really miss them. Otherwise, analysis good! Today’s Barca really reminded me of Pep’s Barca. I wonder if Vilanova has called Guardiola to ask him for advice? i’d really hate to see Villa leave this summer. he’s a fantastic player. get the ball back. it’s like they woke up. what a team. Barca’s plan B is to play with a target man. If Villa leaves Barca must sign a new number 9. Maybe they should go for Lewandowski? Barca doesn’t need a highly mobile centre forward. They need a “traditional” target man with size and presence in the box, and a good touch, because if they’re playing well, he shouldn’t have to run much at all (except towards the near post). I disagree. Pressing when they don’t have the ball is Barca’s most important feature. They’ve struggled to win back possession against top teams all year. Their hard work in winning back the ball made the difference between this match and the first leg. Like Ibrahimovic? That didn’t work out so well. I really think people are under-estimating the effect of the playing surface. Messi’s first goal, which comes after a one-two would have been far more difficult to execute on the San Siro’s bumpy pitch. Similarly, the third goal comes after Xavi plays a first-time pass. If that ball had been bobbling at him he’d probably have needed a touch and Constant would’ve been able to adjust his position. Even as someone who’s never played to any sort of level, I’ve experienced the difference between defending on a poor surface compared to a good one. It’s practically impossible, even for the best players on the planet, to play one-touch passes at speed on a bad pitch. Barca are utterly reliant on being able to do this, which is one of the reasons why there was such a big difference tonight as compared to a couple of weeks ago. Agree. The surface also made it a lot more difficult for AC Milan to counter-attack. They were like amateur golfers suddenly playing on a championship course with slick greens. They just couldn’t plant the ball. It kept skipping off into touch. Very good point. A counterattacking team can manage but it’s especially important when you play against a packed defense as Barcelona typically do. The spaces are tiny and every pass/touch needs to be perfect. ZM, you may mention this to complete your article. I see so many of these blogs on Twitter these days with people considering themselves experts. I can honestly say this is the best football blog site on the internet, you’re write ups really are superb, and thank you for the continued running of this website with such high quality writing. If I was you, I’d consider trying to pursue a career as a scout, you have a great knowledge of the game. Anyway, enough of my ZM love in! I was starting to think Barcelona were on the decline. A few below average performances lacking intensity, and I was thinking maybe teams have worked them out, but tonight they were the best I’ve seen them in a very long time, as someone has already mentioned, it’s as if they ‘woke up’. The pressing was intense, you mention Busquets, but I think also Pedro was very good with the pressing. They looked penetrative, the passing was quick and dangerous, and Xavi looked back at his best as well. The system tonight was also the change they needed, will it be used continuously, will it have as much success as Guardiola’s 10-11 false 9 system? We’ll see in due course, but I’d have Barcelona back as Champions League favorites now, and if they win it I’d say they are the greatest team of all time. It seemed there was a way of playing Barcelona, a method to beat them, and if they find a way round that, I think they should be seen as the greatest ever. As good as Barcelona were though, I thought Milan were very poor. What was the plan tonight? It seemed at times there was two banks of four, very compact and central, but other times it was disjointed. Players would press at the wrong times leaving gaps, players getting caught out of position, and trying to play out from the back against Barcelona is probably the worst thing you can possibly do, yet they kept trying it. Also thought the midfielders were far too eager to pretty much aimlessly charge forward, once again leaving space and gaps. I thought they’d play with extreme organisation and discipline, I actually thought they were pretty unorganized. Lastly, Great to see Mascherano in at centre back ahead of Puyol, far better player now in my opinion. Quicker, better on the ball, better in 1 on 1 situations. And also, as mentioned, David Villa. Absolutely vital player to Barcelona. Not only did he help maximize Lionel Messi, but he offers penetration, direct movements which Barcelona need because otherwise it can become a bit slow, predictable and all in front of the opposition. Can’t wait to see some of the potential matches and how teams go about dealing with this new Barcelona system. Against Munich, Juventus, Dortmund will all be absolutely fantastic games should they arise. At this point in Villa’s career, he doesn’t really have the quickness and agility to play on the wing. So I doubt his center forward role was necessarily by tactical design, but it paid off for Barca anyways. Villa always plays on the wing when Messi is there. Last night the change was necessarily by tactical design. The big tactical difference was that Allegri had to leave his groundsman at home. true, though to his credit in his post -match Allegri said that anyone who thought after the positive San siro result that the balance of power between the teams has changes “is delusional” and even if Milan would have been more fortunate with “couple of centimeters” today it would not have changed that truth. If you think Bruckner is Leviathan, you’ve been listening to the wrong performances (of which there are many). Ponderous Bruckner came into vogue after WWII but is now receding. However, I will admit that I have never got Mahler. Being fairly shallow, I love a big tune I can hum along to. Busquets was a beast today. The pressing was outstanding and it is what kept most of the counter attacks at bay. Xavi showed that he can still lead this team but he needs to be rested to be fully effective. That is the contribution Cesc can make for now, start in the league matches. Pedro will miss the next CL match but Alexis seems to be regaining some confidence. I could not be happier for Villa. His goal was monumental and he has come a long way to earn a start in a game of this magnitude. The hype does not need to restart by labeling Barca the team to beat. They have lived to play around round and have given their supporters a great memory. Hopefully they continue on this path but there is no need to crown them just to tear them down when they stumble. Pressing accomplishes for Barça what counterattacks accomplish for other teams: catching other teams out of shape to gain a goalscoring advantage. To take the previous tie in Milan as an example, Barça regained possession in their own half most of the time, and began every attack outside of double banks of four (as Barça rarely tries to beat their opponent back to the opposite end of the pitch). In this tie, Barça regained possession almost immediately, not only within the opponent’s half, but usually between the back and mid lines of defenders, letting them attack four men instead of eight. I’m no fan of Mexes, but even I have to admit that he was hung out to dry. Constant was *horrible* and Allegri was asleep at the switch. Time after time, Mexes was left alone to track two simultaneous runs. Impossible. But for me, this game was all about Sergio Busquets. Good Lord, what a player! He had it all today: the passing, the movement, the tackles, the interceptions, the creepy calm of a football assassin. Busquets sucked the life out of Milan. He’s only gotten better since the season started, when he was already stratospheric (http://www.washedup.org/2012/08/26/an-ode-to-sergio-busquets/), which raises the question: Where is his peak? Football is in for a treat if he can play at this level for the next decade. One more thing, Jordi Roura is so undervalued for his tactical nous but deserves credit at least for each of his 3 substitutions at the end game. ADRIANO’S discipline and defense to close the left wing that was bit too open all day long. Villa’s done his job. Alexis that perhaps c/should have played from the beginning but which power and speed on the break proved decisive. Mascherano was a disaster for the most part (barring the interception for the goal), granted he was clearly told to take risks when winning the ball high up the pitch. Disagree on Puyol though, looked even more lost when he came on, clearly not a ball winner like Masch. Kept getting caught trying to close players down far too high up the pitch leaving Alba exposed. Adriano coming on did help that though. Isn’t that the point. Defensively he might be an accident waiting to happen but when it comes to using the ball (a priority at Barca) he offers so much. I suspect the coaches at Barca think Mascherano at centreback justifies the risk! Mascherano was a mess, i agree. Alexis sub was a good thinking but he misplaced so many easy passes when every possession counts. Barça would probably have beaten anyone today, but their mission was even harder: to score multiple goals without conceding. A difficult feat, considering Barça’s lack of speed in central defense and risk-averse play against top opposition recently. Today they found themselves in the same position Milan were in two weeks ago—needing every bounce to go their way. And today, virtually every bounce obliged. So, the question for Barcelona is, Can/will they play with a similar amount of risk-taking on the road in the CL this spring? They will need away goals, because they are going to allow goals against the better teams remaining. I agree that Milan were “fighting the last war” today, and weren’t prepared to deal with a very advanced, right-center Villa, or with Iniesta running at them—both of which gave Messi space. After the Chelsea debacle last year, I thought Barça should have done anything they could to get Llorente over the summer, precisely to have someone imposing/distracting (but capable of adapting to the system) to play in front of Messi when the bus is on the pitch. Maybe they have that in Villa now. Other observations: (1) Piqué occasionally blasting forward in the first half also gave Milan something to think about (similar to Alves’s play on the flank, though more intermittent). Every tactical move Barça makes is, and should be, about giving Messi additional time and space. Tactics is a word for trying to influence probabilities, and Messi is the ultimate probability. (2) Milan needed more skill on the field. Robinho (! ), for example, settled them greatly in the second half, and forced Busquets and Piqué back. (3) A different ref and Barça leads by 3 or 4 at the break. This guy really let Milan “play” in the first half. (4) Milan couldn’t seem to decide which kind of break they wanted to attempt—the high, straight, long ball or the wide diagonal outlet. As an ex-defender I’ll say that the Milan lines should have known beforehand where they were going to send clearances. As it was, they were constantly making foolish mistakes in clearing the ball because there seemed not to be a prearranged zone into which to play long balls to start the break. This helped Barça cover up some deficiencies dealing with the break (and basic long balls). (5) Pedro was shown up for a lack of straight-line speed on the wing (which would have come in handy in the second half). Tello might be a better fit with Villa in this situation. Abate was not worried at all about Pedro and became increasingly dangerous as the game went on. That said, Tello and Pedro are both streaky, and you never know what you’ll get on a given day with either. Writing as a Barça fan: Hats off to Milan. Their tactics today were acceptable, for the most part. I don’t know what they could have done so very differently. They just needed better players and better composure in the Barcelona box. (Sorry to be so blunt.) Because they only needed one goal. Surely Milan were better today than Barca in the first leg (and therefore imo superior throughout the tie) but Ambrosini tracking Messi today like Mexes in the first leg would have helped. I could agree that no team could have kept a clean sheet against this Barca, but I disagree on other side losing. Barca took a risk in playing a narrow 3 man defense. It nullified Milan’s crappy attack well but any side with good wingers would have managed to score at least one goal against Barca in this system. Ronaldo, Ramirez, Ribery, Robben, Reus…any of the R players would have forced Barca to pay on away goals. Xavi seems to have seen what was happening pretty well. Barca really did turn the pressing and one touch passing on tonight. Was really a really good game to watch. Thanks ZM for the analysis. Best tactics site around. Isn’t Barca’s shape similar to the one they had with the 2-2 vs Chelsea? The difference being Villa >>> Sanchez, and the Ramires / Niang moment resulted in a goal last year, but the woodwork this year. Excellent analysis as always. However i wondered if there has not been another tactical change from barcelona in the second half. I personally thought Dani Alves’s positioning was not as much forward, in fact he was pretty much in regular attacking fullback position in second half, while Villa then Sanchez moved to the right. It allowed Jordi Alba to make some runs in the second half and one of the resulted in the fourth, while crosses from the right wing which came from Alves were much less in the second half. Pretty spot on. Milan’s best attacks in the first half came down the left (per usual counter attacking against Barca). Alves pushed up, Pique left 1v1 against El Shaarawy. With Pique being beaten so easily by El Shaarwy, wouldn’t doubt Alves was told to hang back more in the second half. Did Alba get the go ahead then to push forward more, varying the attack vectors? I concur. Some combination of (1) the third goal and (2) Abbate so easily chasing down Pedro on that left-wing through ball meant that Abbate began to move higher up the pitch, and Pedro seemed to begin focusing mostly on pressuring, which left an obvious space for Alba to try to exploit. Clearly he would not have done so without a go-ahead from the sidelines, but in my experience these types of empty spaces are very noticeable to players on the pitch. Perhaps it was a tactic, or perhaps mostly opportunism, whether player- or coach-instigated. FWIW, I thought Abbate acquitted himself very well and, because of his size and strength, he would appear to have a future at center back if he wants one (haven’t seen his heading, however). Insert him for Mascherano . . . ? Tbh I’m both surprised and kinda disappointed that Milan didn’t play more defensively from the start. Both 3-4-3 and Villa for Fabs were changes predicted since the end of the last leg and Milan made no apparent defensive changes to prepare for an inevitably attacking Barca at home. Sharaawy was also incredibly underwhelming this time in both attack and defense. I can’t help but wonder if the game would have been way different if he was replaced with a 3rd centerback or a spare defensive midfielder, and they just focused their attack down Boateng. Maybe even getting Niang out of there for a wingback. When Inter & Chelsea both beat Barca they only committed 1-2 people to attack most of the time but Milan started with a deep-lying 4-3-3. Gotta disagree. El Shaarawy was getting terrible service all game. Barring one excellent through ball (from Montolivo? ), he spent most of the game chasing passes out of touch. Milan’s game plan was basically unchanged. And it still could have worked, with better execution. They had chances. The difference? Pazzini was injured over the weekend (WHY DIDN’T BALOTELLI START AGAINST GENOA?! ), Niang froze, Flamini was a headless chicken, and Ambrosini was on the carousel. Barca were given too much space and time to work with. There was a moment about 20 minutes in when the camera framed Ambrosini’s strained face. He looked like he’d seen a ghost. The next shot was Messi lining up his free kick, nostrils flared, eyes narrowed, hungry but calm. That told the whole story of the game. A lot of factors were behind Barca’s exellence (increased pressing, covering the whole pitch more evenly, Messi getting space, etc.) but I think one of the most crucial of them was Xavi. This looked like Pep’s Barca – Xavi Hernandez dictating tempo, Barca patiently building up, and while suddenly entering the final-third, the passing quickens. We have not seen a goal of that sort (the first goal) for ages by Barca. Xavi was so much more at the heart of everything (in several games this season, he had looked less involved). Barca played football again. I knew within 5 minutes that Allegri had got his tactics wrong. It was expected that David Villa would start instead of Alexis Sanchez. It was known that Pazzini is injured and Niang is not as good at tracking back. The simple solution was to play Bonera instead of M’Baye Niang, which I expected would have been the case. If Bonera had played, Milan’s 5-4-1 shape would enable them to shut down everyone: Abate on Pedro, Mexes on Villa, Ambrosini and Bonera and Constant on Messi and Alves, Boateng and Flamini on Iniesta and Montolivo, El Sharaawy on Xavi (partially). Zapata would be left without a man to mark, so that he could deal with marking breaches, balls over the top, etc (essentially a defensive sweeper, like Phil Jones at Bernabeau). This would curtail the dribbles of Iniesta, Messi and Dani Alves to some extent, forcing Xavi to make long passes towards Villa. If El Sharaawy could have done half of what Welbeck did to Alonso, it s would have been easy to stop Barcelona from scoring so many. While on attack, Montolivo could switch with Boateng, and Boateng could get forward from Centre-Left, switching with El-Sharaawy in turn, who would move to Centre-Right, thus putting Busquets in a dilemma of whether to take on the runner or the potential receiver. Once the ball is ahead, Xavi and Iniesta are bound to come back, and hence Montolivo and Flamini would naturally be available to support the attack. If the attack fails, the simple thing is to press on the out-ball midfielders: Boateng on Xavi and El Sharaawy on Busquets, with Montolivo switching to Iniesta temporarily. If Milan had played this way, the match would probably have ended 1-1 or (worst case) 2-1 to Barcelona. I beg to disagree with several points you made. 1. You claim that this 1-to-1 assignment of marking duties would shut down all the Barcelona players you mentioned. However, it would require tremendous physical effort and constant prassing in the midfield zone – something that Milan was clearly trying to avoid so as not to lose compactness between the lines. Besides, you cannot really leave just one man on Villa, Messi or Iniesta but need at least 1 or even 2 players covering in behind. Add a few more men forward (which Barca constantly did) and your assignment breaks down. Barca has got too much individual quality to work it out in such a simple manner. 2. For the first and second goals there were at least 3 people on/trying to block Messi. 3. You implicitly assume Barcelona would not respond to Milan’s tactics (if they were successful) by commiting more men forward, switching positions or changing their shape. 4. You claim Milan would actually get to attack in such a setting and forget the incessant pressing that Barcelona put all over the field. With just one man left forward instead of 2-3, I doubt Milan would ever get of their defensive zone and would just keep hopelessly kicking the balls out/forward and grow increasingly tired/annoyed with how the game is going. 5. I actually think Niang, despite him not tracking back and being young and inexperienced, in this case was actually a somewhat justified choice given his pace and lack thereof for Pique and Masche. He and El Shaa were the only threats on the night. Well, with Villa up front, I was surprised that Milan didnot become a 3 men defense. So many Seria A clubs play with 3 men backline with wingbacks supporting, which would have been ideal here. I don’t follow Milan that much and don’t know if they have the resources but considering that their league is known for 3 men defense, it was surprising that they did not try that. with another spare man, Mexes could have still followed Messi tight, Villa would not have got the space and the wing back could have exploited Alves’s high position. But still, if that Niang chance had gone in, it would have been a different game altogether. I still think the best way to play Barcelona is with real width.. Good wide players and attacking full backs stretching the play. They are vulnerable at the back and a team with above characteristics (Dortmund, Bayern, Real with Marcelo at left) will cause them huge problems. It would be a delight to see Dortmund play Barca over 2 legs. Milan should have started more defensively and should have used set pieces more effectively. Robinho should have played from the beginning and he would have got something from a vulnerable Mascherano. Allegri wasted a chance to oust Barca. Surprising since he got it so right in Milan and so wrong here..
Not having read all the comments. 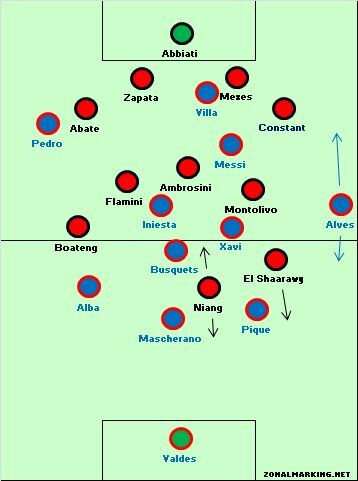 But last nights tactic was a travel back to when it all started(http://www.zonalmarking.net/2010/03/24/barcelona-2008-09-pep-guardiola-4-3-3/). In the 08/09 season Barca often let Dani Alves free reins to make forward runs and Abidal was more defensive. Messi, however, didn’t go inside so much without the ball in this time though, but did it more often with the ball. Eto’o was the man up top and Henry giving width to left, as Villa and Pedro did last night. Thank God all this stuff about “the end of barca” proved to be exaggerated (although I too believed in it for a while). It’s just too good and a delight to watch – and this from a United fan! Barcelona were immense, but yesterdays game was also dealing with very small margins. Had Niang scored, the game would have been 1-1 and momentum would most likely had gone for Milan. But he didn’t score and then Messi hit his second just a bit after, which was a huge hit psychologically for Milan. I don’t get what Robinho was supposed to bring to the side. He’s pretty much useless, especially playing CF. What do you think about the possibility of Flamini marking Messi , Constant marking Alves and El Shaarawy doing some help in the central zone instead of Flamini? Maybe Xaviesta would have some more space, but Milan would have recovered the spare man in the defense. “…Busquets was winning the ball so quickly”. I don’t mean to berate your analysis, it is fantastic as usual, but i feel we should be able to differentiate sloppy play/passes by a side from effective ball winning play. Busquet wasn’t winning the ball that quickly in the first leg, simply because Milan wasn’t indulging in sloppy play. on a more general note, Milan was not a tough enough opposition for Barca. the truth is that we simply hoped that they would complete the upset which they had started from the first leg. they don’t have what it take to cause significant problems for Barca-the players, belief etc. if Milan had another top striker like Mario in the squad, what Niang missed would have leveled the score instantly and most likely change the cause of the game. i know I’m departing from tactics,. but the truth cannot go unmentioned. and even tactically, why didn’t Muntari start? how many passes did Xavi complete on hand and how many passes did Messi receive high up in the first leg? to be honest, Milan were disappointing. two narratives collide, and in the commercial journalism world only the biggest narrative will be reported. You weren’t watching the same game I was. Busquets was a monster. I agree with mosc though. Milan managed to piss away a 2 goal advantage in the laziest and most disappointing of fashions (not unlike their final loss to Liverpool). Barca HAD to be ultra-attacking and Milan didn’t make them suffer for it as Inter or Chelsea had with even less of a score advantage. Nevermind their attacking woes, Juve would have at least defended better. Milan’s 1st leg was impressive because the players played with composure on the ball when under pressure. In this leg they failed to string 3 passes together. I can’t believe they played a 4-3-3 with no classic striker for so long when their midfield and defense were getting demolished, and that there wasn’t a huge defensive focus after going 1 goal down. It was, as ZM says, a simple solution. One that many commentators have been prescribing. Villa, whether as a central or wing striker, is the best Barca player at pushing back the defense, getting in the box, and finishing. The likes of Pedro and Sanchez may be quicker, but their positioning, decision making, and finishing are poorer. Fabregas simply does not frighten defenders as a striker. For these and other reasons that so many have commented on, including Xavi’s and Messi’s (physical) aging, Barca are not enough of a threat to mount quick attacks with pace. They do not get players in the box for neither crosses nor though balls. They are too static, and as a result, the defenders sit back comfortably knowing no one’s going to get in behind them and that they only have to worry about Barca passing it through them. Currently, for a Barca team that is aging and off-form, playing Villa is the only solution to this problem. The solution for the medium term is to further integrate the likes of Thiago, Tello, and other younger and more mobile players into the team so that they can play in big matches. In the long term, the aging players need recovery and rehabilitation. Note for example how static Messi is, not only when Barca have the ball, but crucially when they press. Not only has he lost pace, but his work rate is much lower that it used to be. The Messi of three years ago would have tortured this Milan team. Barca needs change the way it uses Messi to adjust to this new reality. Messi can no long reliably slice through defences the way he used to, so Barca must have another striking threat such as Villa on the field at the same time. While I agree Barca could use a real goal threat either in front of or on Messi’s side, I disagree with his “aging” argument. He is only 25, players do not usually start losing pace until thye are 28-30. Messi is not a “usual” player. He has 7+ years of near constant football at the highest level (when’s the last time he missed consecutive games? Not since his thigh injury in March 2008?). Add in the fact he’s probably the most fouled/hacked down player in world football, I can see him start to decline earlier than most. That being said, he does seem less mobile and more static, although this probably has more to do with motivation (having won basically everything) than physical decline. i was thinking now Villa is upfront Messi has more room but then i came up with a solution to overcome this. Ok hear me out, So Villa is central and pinning the centre backs coming out to Messi, why didnt Milan switch El Shaarawy on the right side of pitch High up as Alba wasnt attacking and Boeteng play as a LWB in a way to deal with Alves. This way the left back can in a way go man to man on Messi and follow him around. If you think about it hes got the cover of Boeteng. give me your thoughts on this solution? …. for example if they did vs real madrid… Di Maria could mark Alves and become the LWB which hes done many times in games, and that means Coentrao can go man to mark to Messi. reminds me of last year. an impressive first leg of milan and a pathetic second one. I noticed after around 15 minutes Mexes tried coming up the pitch a couple of times to mark Messi but Zapata failed to pick up Villa in behind him so Villa ended up being comepletely unmarked. I don’t know if it’s bad communication or what but they should have kept at it. Also, Allegri probably should have shuffled his front 3 so Niang or Boateng would be positioned on the left to keep track of Alves who had space to rent all the live long day. On a side note, which club(s) do you support, Michael? Two keys to this game were definitely Barca’s pressing and their ruthless finishing. Milan were trying to come out of the back with short passes (kind of strange, since when they used long passes, they were more successful) and Barca pressured them heavily and with great success. The other key, and reminescent of Barca’s best moments, was how effective they were with their chances: By the time they had 4 chances, they were up by 3-0. Milan didn’t let many chances for Messi and Co., but when they did, Barca was ruthless. is it a coincidence that barcelona achieved their greatest comeback in the current era NOT under PEP? hence one should not forget that barca’s defence stil seems a problem. to me bayern would suite them best, cause i don’t see bayern sitting deep waiting for counters. Pazzini was a big loss for Milan. Niang was horrible when I came on in the first leg – I don’t why Allegri thought he could lead the line in the damned Nou Camp. Bojan should have started. I can’t believe De Sciglio didn’t come on either, he’s excellent – they could have even played him on the wing to help Constant. Barca were amazing though, theywould have beaten most teams by 3 or more goals on that form. Fabregas probably won’t start ever again in an importanr match. He should join AC MILAN!!! even though barca won but i think there is still room for improvement . the system they played was much like they play under gaurdiola . but i think that instead of playing villa in that front position i think that fabregas would had been better there since he can play with his back to the defenders. him and messi combine very well and also fabegas can combine well with other players like iniesta and villa. who should had been played in place of pedro . although pedro offers more pace than villa but villa gives something to think about to the defenders plus his range is way better than pedro’s . i think messi might had a big hand in team tactics because he might had talked with villanova about his position . are u stupid? machete played a superb game, besides the one mistake. his passing and speed is so useful. thats why he played and not puyol! Puyol didn’t start because of knee problems. Mascherano didn’t play bad this game but like always he makes some (huge) faults, Barca conceded so many goals this season because of mascherano. So many times he lets his mark walk out of his back, his positional awareness is horrible in the box. Barcelona rediscovered so many of the elements that have slowly left their game recently. And when they bring these elements back, the pressing, movement and sharp passing, they can produce the level of performance they gave against Milan. Messi’s second goal was offside. Newspaper Sport-Es, from Spain and M.P. Lima from Correio Brasiliense, Brasil, said before the match, that Barcelona wuold play with a new system, 3-3-4. Has that happened, What do you think? Newspaper Sport-Es, from Spain and M.P. Lima from Correio Brasiliense, Brazil, said, before the match, that Barcelona would play with a new system, 3-3-4. Has that happened, What do you think? 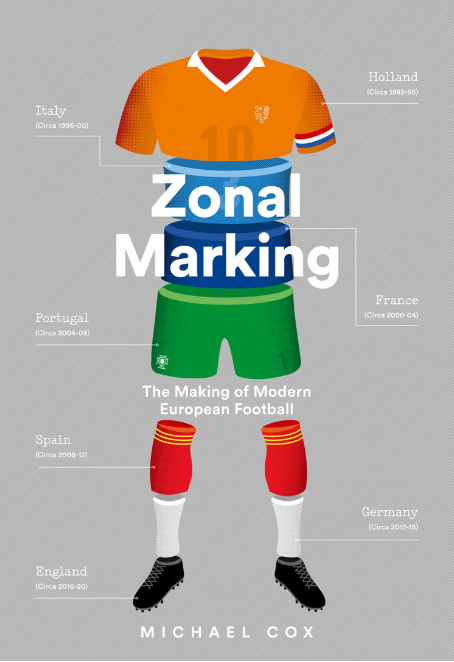 could be, but that’s essentially on where Messi plays… and frankly, he roams eeeeverywhere. This one hurts, i know Ac Milan is not the better team, but i was hoping that they could stop Barcelona from scoring early on to force Barcelona into bad decisions in their attempt to score. In either case it was a good run by AC Milan.